Lionel Messi's 100th European goal ensured 10-man Barcelona had little trouble in defeating Olympiakos 3-1 at the Nou Camp in the Champions League. Dimitris Nikolaou turned the ball into his own net in a first half dominated by the hosts, but one which was blemished by the dismissal of Gerard Pique for a second bookable offence. 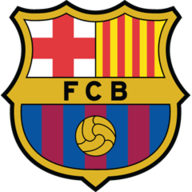 Even though they had a man less, Barcelona continued to impose themselves on the game, as Messi first scored a free-kick, before assisting Lucas Digne for the third. Nikolaou had a better memory to take from the game, as he headed home a late consolation for Olympiakos. Barcelona dominated from the opening whistle, as Olympiakos set out to limit the damage that would inevitably be inflicted on them at the Nou Camp. 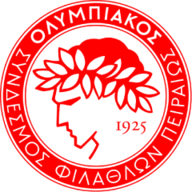 The hosts had all the possession and numerous chances, but it took Olympiakos' Nikolaou to divert a well-struck Gerard Deulofeu cross into his own net after 18 minutes to hand the hosts the lead. There seemed to be no chance of the visitors getting back into the game until Pique diverted a rebound from a Deulofeu shot into the back of the net with his right hand. As the defender had already been booked earlier for pulling back an opponent, the referee had no choice but to send him off. Gerard Deulofeu was given the role of the third forward by Ernesto Valverde, as Barcelona looked to attack their lesser visitors. Messi reached his milestone after he was the victim of a crude foul from Nikolaou 25 yards from goal. The Argentine then stepped up to curl the ball over the wall and into the net, despite the efforts of the goalkeeper. Moments later Messi took the ball to the byline, before jabbing it across the box where Digne was waiting, allowing the Frenchman to smash in the third for Barcelona from the edge of the area. After a game to forget on the big stage for youngster Nikolaou, he was given one moment to remember as he headed home a corner to earn a late consolation for his team. In tough conditions for all involved, the Barcelona captain kept things ticking over and put the pressure on the Greeks, to make sure it didn't look like the hosts were a man down. Iniesta's experience was key after Pique's sending off. It was no surprise that Barcelona boasted 739 passes during the game when you have the likes of Iniesta pulling strings in the middle of the park. Barcelona host Malaga as they look to improve their position at the top of the league on Saturday night, live on Sky Sports Football from 7.30pm. Olympiakos host top of the Greek League PAOK, who they hope they can close the current four-point gap on when they face each other on Sunday night.